I have one of them too... Love sharing their food with the floor! 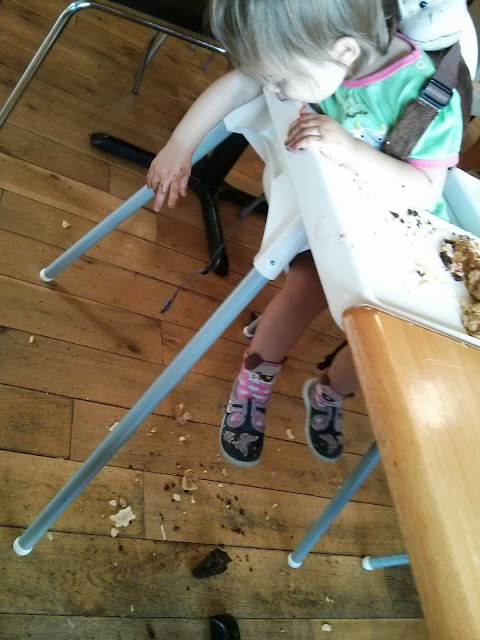 Oh the mess - never seems to stop even when they're no longer in highchairs! Ah, I have a food dropper too. All good fun. Not happy, is she? I can understand!